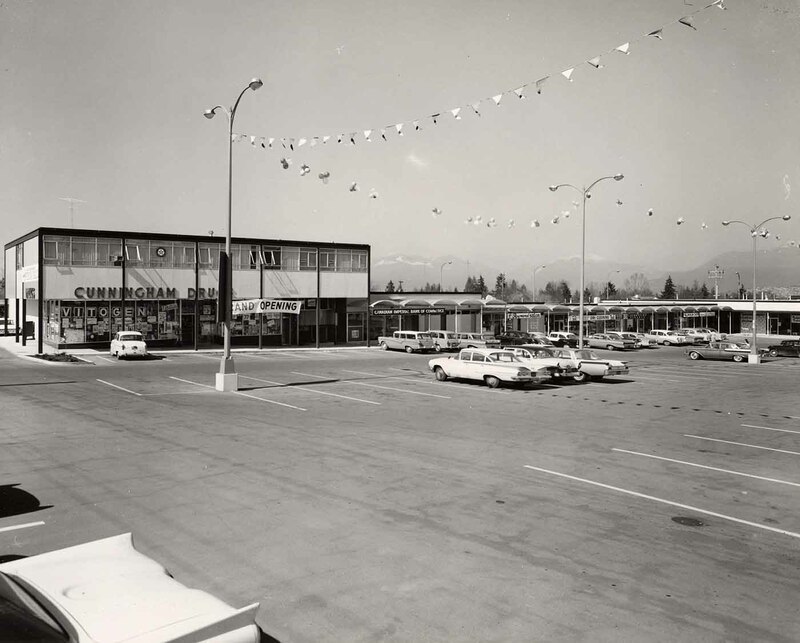 3 photographs : b&w print ; 8" x 10"
Photograph depicts the parking lot at the Old Orchard Shopping Centre on Kingsway in Burnaby. This complex still stands and is located 2 1/2 blocks from what is now Metropolis at Metrotown. Third full parking lot in foreground of image; balloons and flags attached to lamp-posts; mall complex in background, including Cunningham Drugs; North Shore mountains in background.